But, my mate, it must work from the correct position. Otherwise, you may get bogged in repair related works that are…well…unnecessary. Well, that is indeed the thing that owners actually look for. In a general sense, what they believe is that the right position can bring forth correct outcomes in a really effective way. Such a reckoning is obviously a right estimation from the customers’ side about the services of the ACs. But, there is something additional too. 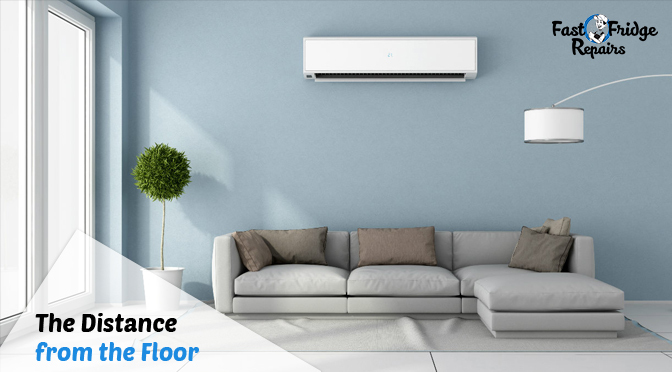 The correct installation of a split AC in the right area or place also ensures a very robust hold or grip of the unit and comprehensive safety for it making it live long and…surely…function long. 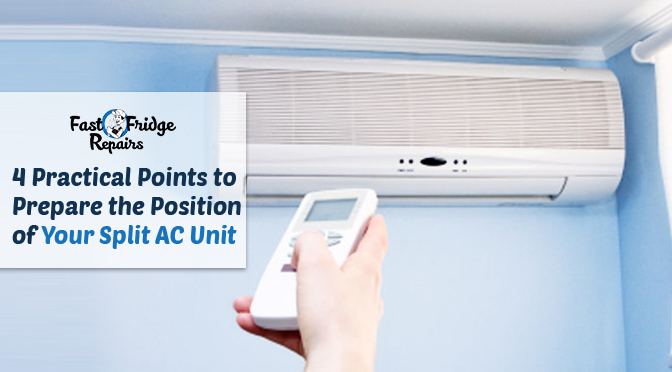 So, before you speak to your professional installer, who would obviously give more ideas about a split AC positioning, learn on some of the crucial matters so that you don’t get the unit administered in the wrong place. Well, the first thing about installing an AC in the right position it needs, is maintaining its proper distance from the floor. Similar to keeping the distance between a fridge and a wall, as demonstrated by the Commercial Fridge Repair Service experts, the gap between the AC unit and the floor can help in ensuring a comprehensive safety for both users and the machine. This gap keeps the dirt and debris away from the unit. Plus, if you make it too low, then you (or your kids) may get obstructed by it in case of moving at the interior side of the room. Plus, ankle biters may get access to the unit physically. The outcome may get dangerous for those little ones. You can also get hurt as the thing runs by electric. So, the thing is that you have got to keep it high enough. But, don’t make it so high. At least a distance of 7 to 8 feet should exist between the floor and the AC. Reflecting the previous point in another way, too high installation of an AC can ruin the temperature control factor. The air would pass on to the ceiling and it may soak or reject the temperature as launched or generated from the AC. That means no effective outcome. 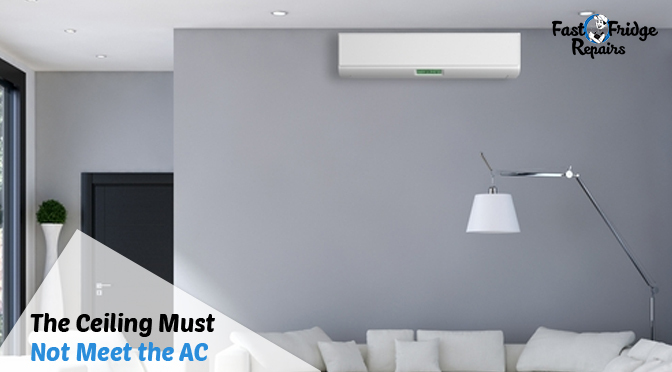 Your split AC system must not get hindered by any obstacles near it. This can hamper the air flow or the comprehensive functionality of the thing. 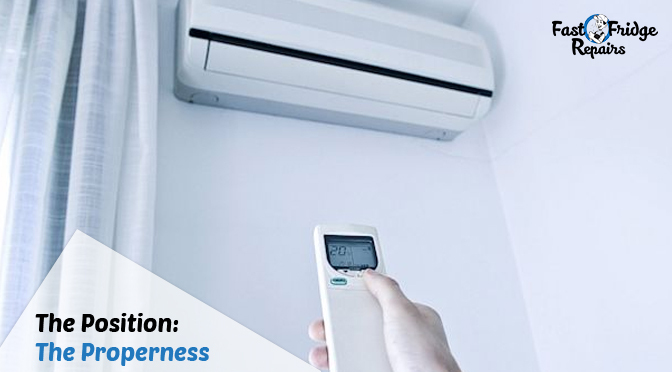 Impediments can also mean attracting some of the really dangerous situations if the AC does not function properly or in case an accident happens. Try to keep away combustible items from the unit. 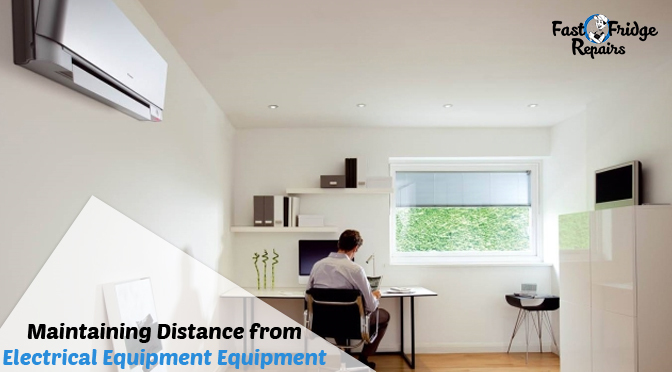 Well, there must be at least 3 feet of distance between the AC unit and other electrical equipment. This fact will be stated to you at first by Aircon Install Technicians as they understand things like those not just affect the machine in a negative way, but also make it produce wrong feedbacks. So, the best thing to do is not to keep any electrical equipment or gadgets away from the AC unit. 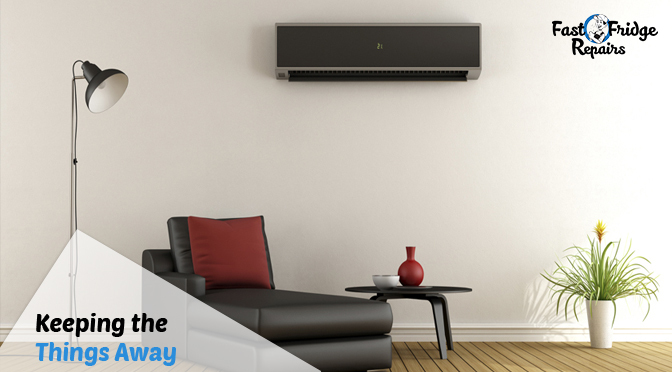 You must get the right brand to help you with installing the split Ac unit in the proper place. For that, you need technicians. The ones from Fast Fridge Repairs can help you a lot. With quality guidance and superb professional skills, these technicians are here to make a difference. The right spot to install your spit AC is waiting to be discovered by these experts only from Fast Fridge Repairs.